Serious eye candy going on here from Luv Aj. 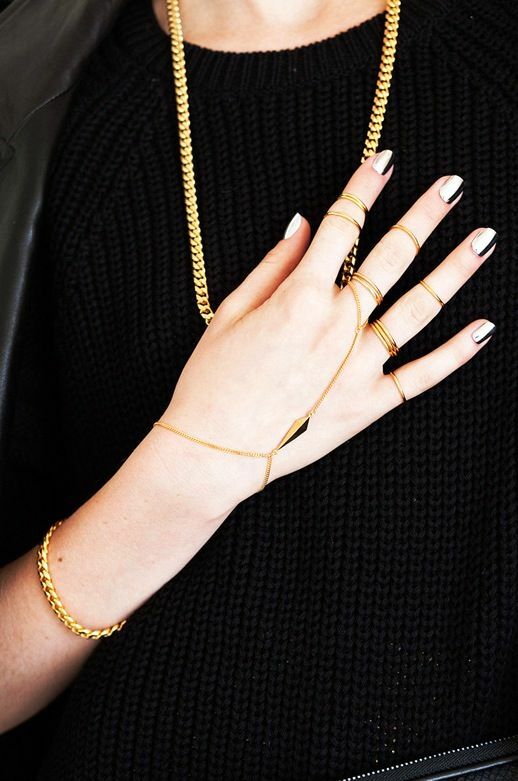 The necklace and cool collection of gold chain bracelets and sleek rings needs to get on me. The silver metallic nails are the perfect touch! 0 Response to "JEWELRY CRUSH: LUV AJ | GOLD + SILVER MIX"